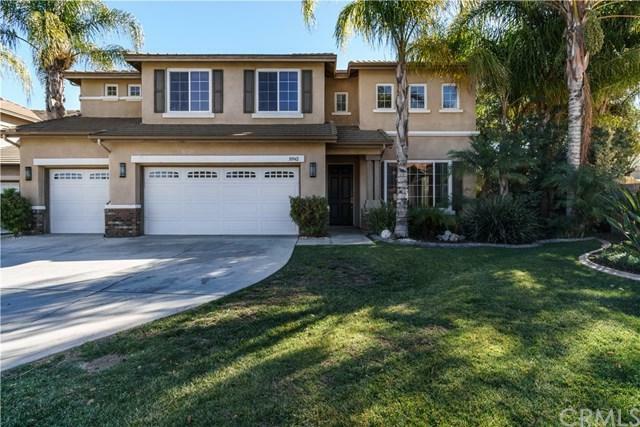 **CLICK THE LINK ON THIS PAGE TO VIEW PROMO VIDEO** Welcome to Menifee! Here you+GGll find great shopping, entertainment and easy freeway access. Inside this fabulous Cul-de-sac POOL HOME you+GGll be charmed with upgraded flooring, wide open spaces, cathedral ceilings and wonderful architectural design. A formal living room/dining room leads you to the heart of the home where a kitchen features an island with bar seating and gleaming granite counters, stainless appliances, walk-in pantry, a tech desk and plenty of cabinet space. The kitchen flows seamlessly to the family room where you+GGll discover an abundance of natural light, a cozy fireplace, media niche and easy access to the back patio. A FULL BED & BATH ON THE MAIN LEVEL is perfect for out of town guests. At the top of the stairs you+GGll find a bonus room perfect for a home theater/entertaining space. The master suite is complete with 2 huge walk-in closets and a private bath with dual sinks, vanity area and a separate shower/tub. The secondary bedrooms have great natural light, mirrored wardrobe closets and access to a full bath with amazing upgrades. Out back you+GGll enjoy lush tropical landscaping complete with a shimmering pool/spa, fire-pit, 2 Alumawood patio covers, built in bbq with bar seating and a huge side yard. 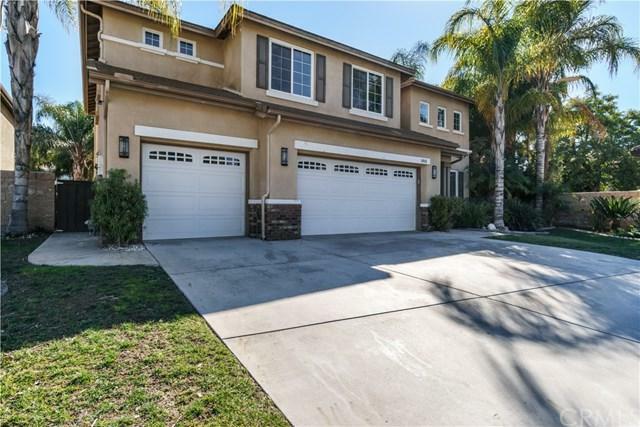 True 3-Car Garage, Water softener system, alarm system & SOLAR will be PAID OFF at close of escrow **LOW HOA ** Welcome Home!